Successfully Added Bluetooth Ear Clip - Comfortable Lightweight Headset to your Shopping Cart. 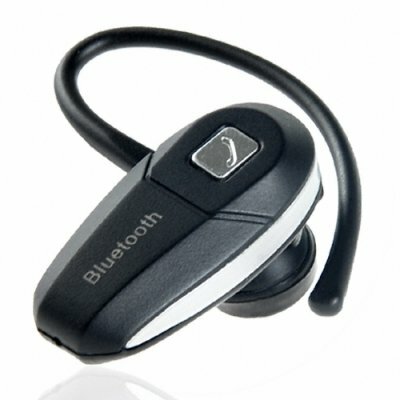 Bluetooth enabled headset made to pair with any cellphone using bluetooth version 2.0 or under. For use with either the left or the right ear, you will easily be making phone calls without removing your cell phone from your pocket. Handsfree voice dialing along with call accept and reject as well as redial will make answering you calls while on the go a breeze. Small and lightweight, this inexpensive bluetooth device is a must have for people who need to always be ready to answer the phone. Another great everyday product that's sure to be a hot seller, order in bulk for your big Chinavasion discount..
Just got this headset and, after charging, it synced right up with my LG Shine and my wife's Sony Ericsson. Gave it to her and will be ordering one for myself. The reception sound quality is fine the other side sounds a little hollow but works fine. The person on the other end can tell you are on a headset. Worked with both phones voice activation and redial options. Very pleased with the product for the price. Only gave it 4 out 5 because I don't know how well it holds up over time, but hopefully, it'll last for a while.